today no card but again something recycled, so as on monday the tin can. 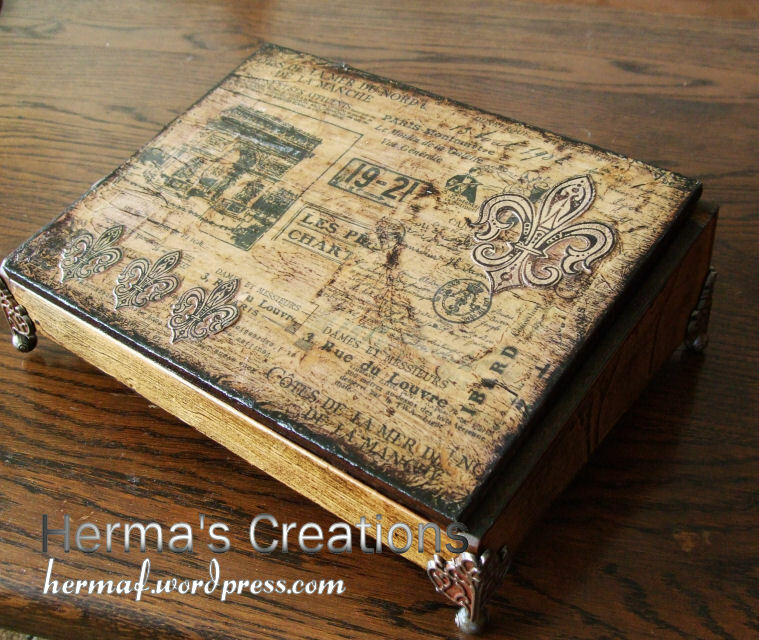 I saw off the back, sanded it, gave it an old look with stain, printed tissuepaper, mounted hinges and metal feet and at least I decorated it with embossed Cloisonne Fleur de Lis . 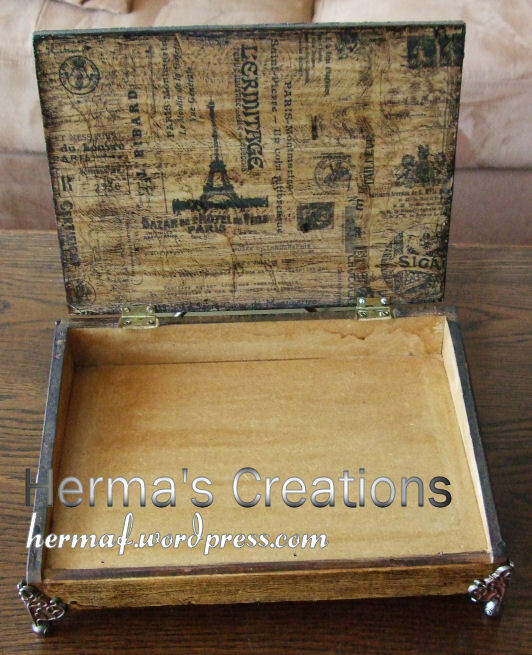 What a wonderful box for your treasures!